Opening Ceremonies: President Tracy Shaffer called the meeting to order. Invocation by Scott Kimball and we said the Pledge of Allegiance. Door Prizes: Laurie Fogleman, Alicia Johnson, Marian Wells, Terri Stephens and Gene Pellerano were the luck winners this week. Marshall Smith, Rachel Bousquet, Carl Lusby, Dom Efter, Dave Wheaton, Scott Kimball, Ashley Johnson, Forrest Dale, Alicia Johnson, Jo Cooper, Clyde Cushing, Jodi Cushing, Janice Pinkham, Laurie Fogelman, Gene Pellerano, Debbie Ehrlenbach, Charlene Churchill, Jim Vickers, Larry Johnston, Dave Wells, and Terri Stephens all gave happy dollars this week. Literacy Update – Gene Pellerano will be getting a schedule from the Moore School to share with club members. Community Service – Clyde Cushing passed around the sign-up sheet one more time for the Rotary Food Drive for Saturday. Gifting Experience – Saturday, December 8th. More details to come soon! Christmas Parade – Our club will be participating in this year’s Ellsworth Christmas Parade on Saturday, December 1st. We will be escorting Santa! More details to come soon! Movember Fundraiser - David Wells shared the facial hair growth competition for November with proceeds going to the Maine Coast Memorial Hospital for men’s health. We have 9 club members participating. Anyone can sponsor for $10.00. THAW Fundraiser – Charlene shared our Annual THAW Fundraiser. Pick which days you think will be a snow day! Proceeds with go towards the WHCA THAW Fund. Rotary Leadership Institute (RLI)- Saturday, November 17th. Please sign-up if interested. The club pays for your attendance. 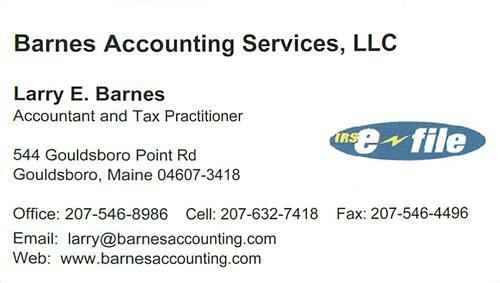 Business After Dark – Thursday November 8th at the Ramada Inn. Come check out our Rotary Booth! Bannger Exchange – Debbie Ehrlenbach and Charlene Churchill did a banner exchange with Campers from Timberland Acres who were traveling from Australia. Laura and Gene Pellerano did a banner exchange while they were on vacation in Iceland! Program/Speaker: Today was ELECTION DAY! 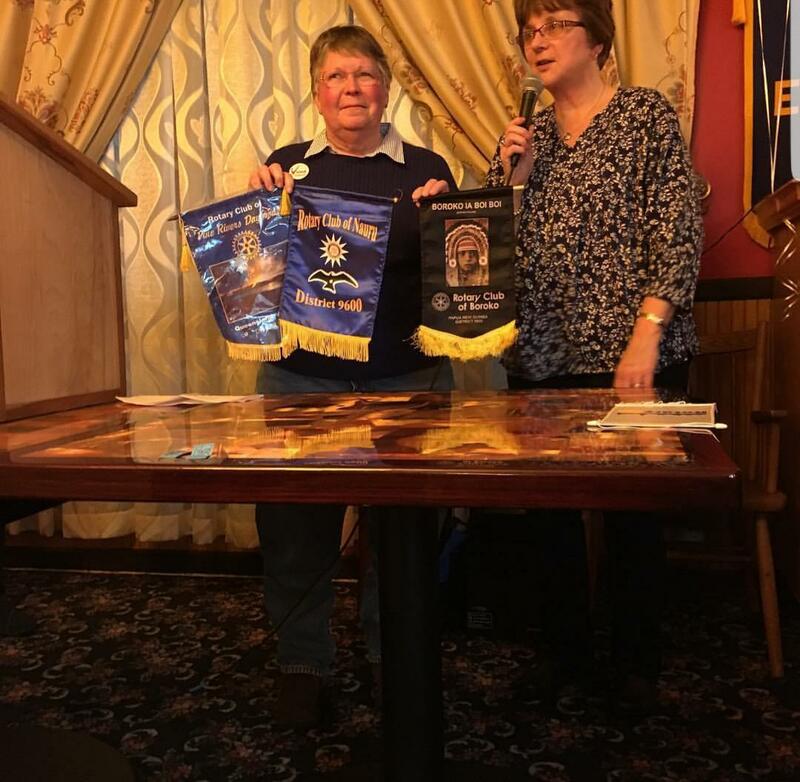 Rotarian Jane Langley prepared a wonderful Election Trivia Game this week! Winners won Individual American Apple Pies! Wine, snacks and a “VOTE Cake” was provided! Thank You!